Every profession, every school of art and interpretation, has a mandatory benchmark, or two, or three. 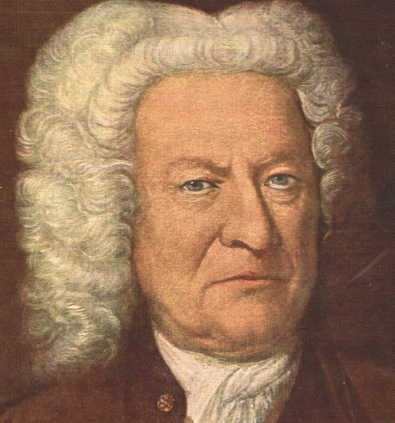 The preeminent benchmark from the Baroque era of organ composition is Sebastian Bach's Toccata and Fugue in d minor BWV 565. Even so, some organists have made a vow never ever to learn or perform this work. They admit to hating it and cringe every time they hear the opening measures. They cannot tell if they dislike it more because of its overuse in society (i.e., its association with Halloween "vampiric" Hollywood horror films, a usage born solely out of ignorance) or because of the work itself. Nevertheless they try to avoid this "Dracula toccata" at all costs. Some within this group who would love to play this music in some old church in Nowhereland do not even believe it is an authentic work of Bach. They complain of being fed up with it being overplayed and not played well and, for them, understandably, this is a big let down. They cite the fact that this music, in so many venues both in recitals and on YouTube, has been assaulted and botched in every conceivable way known to the Western world. To them this work is cliche, the sole organ piece that the average man or woman on the streets will always use to relate to the organ. Another group of organists are simply tired of it. They don't admit to hating it, but they do tend to avoid it when possible. They claim to be as weary of it as they are of the Widor 5 Toccata, and they're eager to move on and leave these two pieces behind despite the fact that both works are considered so much a part of the standard repertoire that many colleges and conservatories of music expect their undergraduate organ majors to have these two pieces carefully prepared. A third group of organists are willing to learn it and perform it and esteem it to some extent for helping them along the path to becoming an organist. While it's not as strong in their minds as other Bach organ works they respect it for its intrinsic worth and for what it can teach. For them this number is like an old friend and fun to play. Still another group, a very large group, seem to be madly in love with it. For some Bach-a-holics it was hearing this piece for the first time that got them hooked on organ playing. They were first caught, and still remain caught, by its magnetic attraction. To hear them talk, every new organist wanted to play this piece in the beginning. But, the fact remains, organists are all wired differently. All of this begs the question: if this and other popular works seem to be the door to which much of the general public is introduced to classical music, then why should this work be frowned upon by the very musicians who can change their audiences for the better through their Art? Special considerations are required for Bach playing. It's very important to recognize and remember that his organ compositions contain several voices, or melodic lines, which are heard against each other, simultaneously. These moving lines require a ministering Art of performance without which they can be so spoiled as to become unrecognizable to the listener's ear. Anything which would destroy the distinctness of the lines being heard clearly by the listener must be avoided like the plague. There are 4 means by which an organist can maintain a distinct delivery in Bach playing: 1) great care must be exercised in the choice of stops, 2) the use of a tempo that's not too fast and suited to the piece and to the stops drawn, 3) a correct separation of the piece (using incisions, or breaks, at the right places), and 4) the use of touch (every kind) that keeps clear all the moving lines. This matter of touch is so important for organists to understand that no less than 5 different blog postings have been devoted to it (See blog, Touch, Parts I-V). Bach used ALL types of touch in performing his organ music. He was a devotee of clarity above all and used the best of every school of learning to achieve that end. Long notes were played legato. Fast notes and moving lines were played either imperceivably broken or non-legato. Everything else was played more broken (either marcato or staccato) to whatever degree he determined was needed to get things clear and articulated. Some very fine Bach YouTube recordings of Bach organ music have been made by organist, composer, and recording artist Hans-Andre Stamm at the historic Trost organ of the Evangelical Lutheran City Church (Stadtkirche) in Waltershausen, Germany, an instrument which J.S. Bach himself knew and likely played. Much can be learned by watching carefully, by means of the outstanding camera work on these videos, how the touch is varied as the music proceeds. Notice especially that ALL types of touch are used, he doesn't always play every voice broken, he doesn't always play every voice legato, he changes manuals, he nuances the tempo, he chooses the stops wisely, and he makes stop and coupler changes by hand, at times, during the course of the music, and never in large clumps. His tempos are brisk, but never too fast, and he uses the heels of all things on the pedals. We can steal an education with our eyes and ears just by watching this amazing talent performing this work, of whom Bach would be very proud [See menu bar, Videos, Bach Toccata & Fugue]. We can go further than that: When all of the majestic powers at work on the page are delivered in full measure like this to the listener it drives home the point that if one Bach organ fugue were the only thing left after the human race was finished it could be said that it wasn't all in vain. Restraint must be used in the choice of stops, especially in interpreting the term "organo pleno" (plenum, or full chorus) whenever this term appears or is implied. When the plenum sound is used for playing Bach, all of the sounding stops and manual to pedal couplers should not be drawn indiscriminately. Anyone who blindly does so is often at a loss to explain how "organo pleno" can be specified for organ pieces of many different kinds which cannot possibly be played using the same stops. With the repetition of any high mixture ranks included in the plenum, the moving lines in strict polyphony can sound almost equally high to the ear. For Bach playing, a transparent manual plenum with tame 16-foot reed tone in the Pedal, either all by itself or supplemented with an 8-foot Flute or Principal stop, works well. For a larger sound the manuals can be coupled, the main manual can be coupled to the Pedal, and a suboctave reed, if it's very tame and not unduly assertive, can be added, in the main manual to help maintain clarity between voices, retain the identity of each voice in terms of range, and provide gravity. This is the type of sound Bach had in mind when he composed his larger, non-chorale based, free works for organ. Low chords in the tenor octave written in close harmony appear frequently in Bach's organ music. These low chords often sound too thick and muddy with suboctave stops drawn unless such stops are tame reeds voiced with high harmonic development. The 4-foot, 2-foot, and Mixture stops of the Pedal are frequently voiced on the strong side. If drawn with the plenum they can overlap and blur the clarity of the inner voices (tenor and alto) of a fugue. This problem becomes most acute when the upperwork on the secondary manuals and the intermanual and manual to Pedal couplers are all drawn at the same time. If this is allowed to happen, then the finest organ fugue can become indistinct and fail in its effect. The player of Bach, especially when seated at a large instrument, has to be constantly on guard in this respect, not to draw too many stops or couplers at the same time and to keep the Pedal line distinct so the ear can always hear it clearly. One of the best ways to do this, in a Bach fugue, is to use a 16-foot reed all by itself in the Pedal with maybe an 8-foot Flute or Principalbass added. As the emotional intensity rises toward the end of a Bach work another subtle layer of sound seems almost demanded. It's SO tempting however, when you're sitting at a large instrument, to start pulling many more stops at climactic places for a much grander effect including but not limited to big batteries of reeds and hordes of couplers, but the Bach player has to be willing to sacrifice absolute strength to distinctness at EVERY turn. Restraint is very difficult in these situations, particularly when the console is electrified and has a combination action that can bring on a greatly enlarged sound at the touch of a single button. Modern ears may be accustomed to hearing that in other music, but with Bach and his school it can sink the ship in a hurry. The range of possible tempos at the organ in the days of Bach also were a slight bit narrower than to which modern ears are accustomed. Bach's habit however, was to play and conduct music with moving notes at fairly brisk, energetic tempos. It's also important to remember that the organ that Bach knew was not subject to crescendo, diminuendo, or sforzando effects, and in all of his organ fugues there is not a single dynamic indication. Distinctness therefore will be partially dependent upon making the right separations between contrasting passages and keeping the connections within the same passage smooth. No performer should attempt to practice Bach's organ compositions without previously dissecting them into principal and secondary passages.